In page 274, Wasif Ali Wasif Sahib mentioned the arrival of new spiritual era. May Allah bless you for all of your beautiful posts. @InshaAllah in next month I will try to add some important posts related to Allama Iqbal. English Translation of Wasif Ali Wasif's predictions will posted in coming days as Bro Baktar is working on that project. InshAllah toofan wapis ho jaye ga jaise Maulana Roomi ka shehr azab se bach gya tha. Beshak Tauba se azab tal sakta hai. Imam Mahdi (a.s) will be one who will bring life to dead tree. Surly he will be Jaan-e-Bahaar. When Mahdi plants a dead tree, that tree will immediately be freshened and produce leaves. He (Mahdi) will plant a dead reed in a dry place, it will instantly get freshened and produce leaves. The Mahdi will plant a dry branch and this will sprout and produce leaves. A man who is in fact ignorant, mean, and coward will instantly become wise, generous and brave. Imam Rabbani describes the power of teaching bestowed on him with the same analogy. In matters of salvation, Almighty Allah has given me such great strength that if I plant a dry tree, it will immediately flourish. 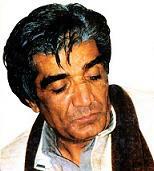 Wasif Ali Wasif was a great sufi.I Thing he was at same rank like Qudratullah Shahab, Mumtaz Mufti and BABA G Ishfaq Ahmad. only difference in tarekat(Malamti, chishti, kaderiya) and duties. Begair darhi k bilkul ho sakta hy. Jb insaan wallayat k rastay py chalta hy, tu darhi lazmi tb ho jati hy jb wo Darbaar-e-Nabi (S.A.W.) main hazir honay ki saadat hasil krta hy. Kuch Walli Malamti firqay ka rung bhi show krtay hein. ta-k log ziada un ki taraf attract na hn. Mujhay yaqeen hy k Wasif Ali Wasif sahab ny b akhri age main darhi rkh li ho gi. jesa k Qudrat ullah Shahab ny akhir main a kr darhi rakhi thi. Salaam, Sufism is not sect or school of thought of Islam like shia, sunni, deoband, barelvi.... It is a philosophical study of Islam under Sharia. Sufism is deep study of meta physics. It is not materialistic study. Dajjal is one eyed because he and his followers do materialistic study. They didn't believe on spiritual study. Some Muslims are also followers of Dajjal who have ignored spiritual study and meta physics (study of being and knowing). please tell me about the beard for men.how long should it be?Is it compulsory to have one? Growing beard is a great Sunnah of the Prophet (peace and blessings be upon him). On growing a beard, it's important for the Muslim to maintain his physical appearance. Beard should not be let grow in a way that makes a person look disgusting to people. In other words, the Muslim should make sure that his beard adds to his good looking and smartness. As far as growing beard to the extent of one fist is concerned it is not reported by Prophet(pbuh) but it is the act of few Sahabah. "Ibn `Umar, may Allah be pleased with him, quoted the Prophet (peace and blessings be upon him) as saying: "Be distinguished from disbelievers, grow your beards, and shave your mustaches." In the Hadith, the Prophet (peace and blessings be upon him) related the reason for growing a beard to the necessity of distinguishing Muslims from non-Muslims. The non-Muslims referred to here are the Persians -fire worshipers - who used to shave their beards. The Prophet (peace and blessings be upon him) wanted to teach Muslims how to be distinguished in their appearance, and their behavior. Besides, shaving beard is an act of revolting against the nature of man, and imitating women. Thus, beard is a sign of maturity and manhood. However, growing a beard does not mean letting it stretch to an unreasonable width or length; rather, it adds to one's handsomeness when it's trimmed a bit or shaped from edges. This was the practice of the Salaf (righteous ancestors). Most of our contemporary Muslims shave their beards, but this represents an act of imitating the enemies of their religion as well as ignoring the guidance of their Prophet (peace and blessings be upon him) who said: "Whoever imitates a people, he is one of them." Many scholars made it prohibited Haram to shave beard, and they based it on the Prophet's reasoning. To them, it is mandatory to grow the beard. It was not narrated ever about the righteous companions, and the Salaf (Successors) ignored this matter. However, some contemporary scholars made it lawful to shave the beard under the pressure of current conditions. They further stated that growing a beard by the Prophet (peace and blessings be upon him) was a normal action but not a ritual one. In reality, the Prophet's insistence on growing a beard is not a matter of tradition but his deliberate insistence on the signs of distinction between Muslims and non-Muslims. Ibn Taimiyah stated that being different from non-believers was what the Prophet (peace and blessings be upon him) meant as imitating them would lead to companionship, loyalty, and internal love which, on its turn, would lead to external love, and this has been proven right nowadays. Imam Ibn Taimiyah proceeded to say that, in many places in the Qur'an and the Sunnah, the importance of being distinctive from non-believers is reiterated given the fact that imitating them would also lead to behavioral imitation, a matter that is prohibited Islamically. Based on the above mentioned, we see that there are three views on shaving the beard. First, shaving beard is prohibited. This is the view of Ibn Taimyiah. Second: it is Makruh (reprehensible), that is `Iyad's view. The Third view is that there is no problem in shaving the beard. This view is held by many contemporary scholars. It seems to me that the closest of these three views is the one that deems shaving beard as Makruh. As the stated reason for growing the beard is to be different from the non-believers, it is similar to the matter of dyeing gray hair in order to be distinct from the Jews and Christians; it is known that some of the Companions of the Prophet did not dye their gray hair, signifying that it was commendable rather than obligatory. Similarly, growing the beard may be regarded as commendable but not obligatory, and, accordingly, shaving it would be classified as Makruh rather than Haram. It is true that none of the Companions was known to have shaved his beard. Perhaps there was no need to shave, and perhaps growing the beard was a custom among them." May Almighty enlighten our hearts with Islam. May Allah guide us all to the straight path! In sura Maida v43, 44 and 45 the words 'and those who do not rule by what Allah(swt) has revealed are the Fasiq's, Kaffir's and the Zalim's. Allam Iqbal, Quaid-e-Azam and Badiuzzeman Said Nursi didn't keep beard. Were they Fasiq? please i would like to share something about TASAWWUF , even i knew that so mcuh has been said for this , i also learnt from someone who has spent his entire life for this. During the time of Aqa Asaloto Aslam and his companions , the terminology for various branchs of the faith like TAFSEER , FIQA , PHILOSPHY etc had not come into use ( and this is true), despite their existence in principle and in spirit - these were compiled and formed under the presnt titles at a later stages but not in that time, likewise , this important brand of the faith also existed at that time. Inner purification ( tazkai nafas) was a part of the Aqa Asaloto Aslam mission and the lives of the Companions ( Sihabay karam) provided a model, Yet its compilation as an independed brand of knowledge was undertaken afterwards. Against the exalted appellation of Companion, other terms like SCHOLORS , COMMENTATORS , TRADIONALISTS , JURISTS AND SUFIS being of little consequence , were not applied to the Companions. 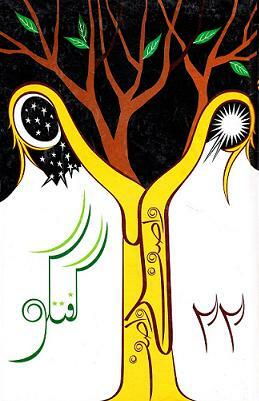 and after that the live of those who subsequently showed singular devotion to this branch , and became its torch -bearers, specialist and zealous followers provided the pristine example of PIETY, ASCETICISM, SINCERITY AND SIMPLICITY , by their habit of taking simple food and wearing corase garments of wool ( suf), they were known as SUFIS and the branch of the faith pertaining to their way of life came to be known as TASAWWUF . In the Qurn - pak it has been refeered to as TAQWA , TAZKIA or KHASHIAT (FEAR OF ALLAH) and in the HADITH came as IHSAN , which has been regarded as ESSANCE OF FAITH , and the presious hadith in this regard is HADITH - E JIBRIL. so in short TASAWWUF , IHSAN AND SINCERITY are the different name of same reality. may i ask for forgivness if sometihng comes wrongs in writing/ spelling. I completely agree with my Brother. Allah Creates All Events Specially So That Islam Can Reign Across the World. It is a great honor for Muslims to engage in an intellectual struggle in unity. Our Prophet(pbuh) foretold that it is Hazrat Mahdi (pbuh) who will initiate and conclude this honorable struggle in the End Times. However, Hazrat Mahdi (pbuh) will bring the reign of Islam about without bloodshed. Hazrat Mahdi (pbuh) will wage this campaign through scientific means, love and reason. Responding to bloodshed with reason, love, science and art will paralyze and neutralize perverse ideas such as Darwinism, Marxism and communism that represent the corruption of the dajjal. The climate of love, peace and tranquility that Hazrat Mahdi (pbuh) will bring about will, insha’Allah, be instrumental in Islam coming to reign across the world. nobody will come. Yeh lazy molviyon ka banaya hua aik kirdar hai. Yeh log na khud kaam kartay hain or na chahtay hain kay dosray koi kam karein.